Western Europeans spend an estimated 10.5bn euros ($14.3bn) a year on illicitly sourced medicines, many of them counterfeit, according to a Pfizer-sponsored survey. Germans and Italians buy the most prescription-only drugs without a prescription, either over the internet or on overseas trips, in nightclubs, in shops and via friends. Counterfeit medicines often contain the wrong or even toxic ingredients and are a growing health threat worldwide, especially in poor countries, according to the World Health Organisation. 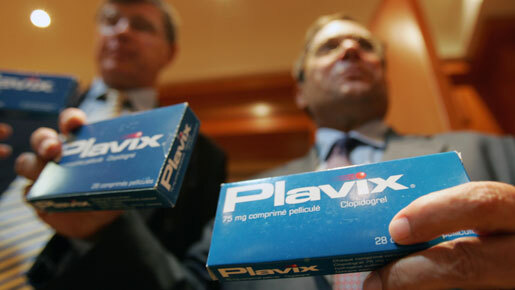 They are also a thorn in the side of companies like Pfizer, the world’s biggest drugmaker, whose impotence pill Viagra and cholesterol drug Lipitor are two of the favourite targets for illegal counterfeiters. Critics argue that the industry is keen to play up the issue in order to back its demands for tighter controls on medicine supply and packaging, thereby protecting its brands. But the problem is being taken seriously by European officials. Outgoing European Union industry commissioner Guenter Verheugen said in December he was “extremely worried” about counterfeit medicines after 34 million fake tablets were seized at EU custom points in just two months. Jim Thomson, chairman of the European Alliance for Access to Safe Medicines, which receives funding from the drug industry, said tests by his group had shown that 62 percent of medicines purchased online were fake or substandard. “Does industry have a vested interest in this? Absolutely. But I think society should have an even bigger interest in getting this stopped,” he told reporters. Overall, 21 percent of 14,000 people surveyed in 14 states said they had bought medicines illicitly, with the rate ranging from 38 and 37 percent in Germany and Italy, respectively, to 12 and 10 percent in Britain and the Netherlands. Weight-loss medicines accounted for nearly half of all online purchases, followed by prescription treatments for flu, such as Roche’s Tamiflu; pills for erectile dysfunction; quit-smoking drugs; and painkillers.